Yes, yarn-bombing exists. 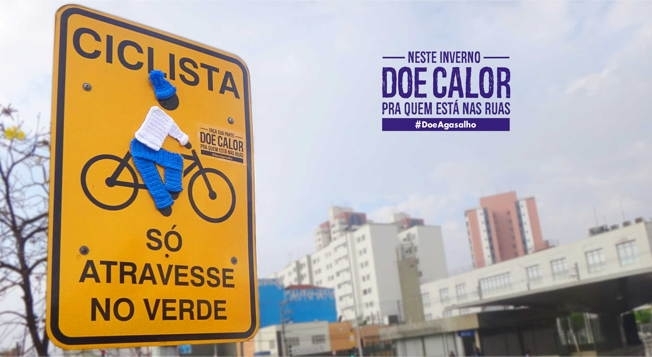 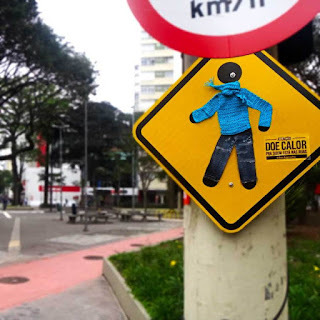 And in Brazil there is a warm clothing donation campaign that's grabbing attention with said yarn-bombs. 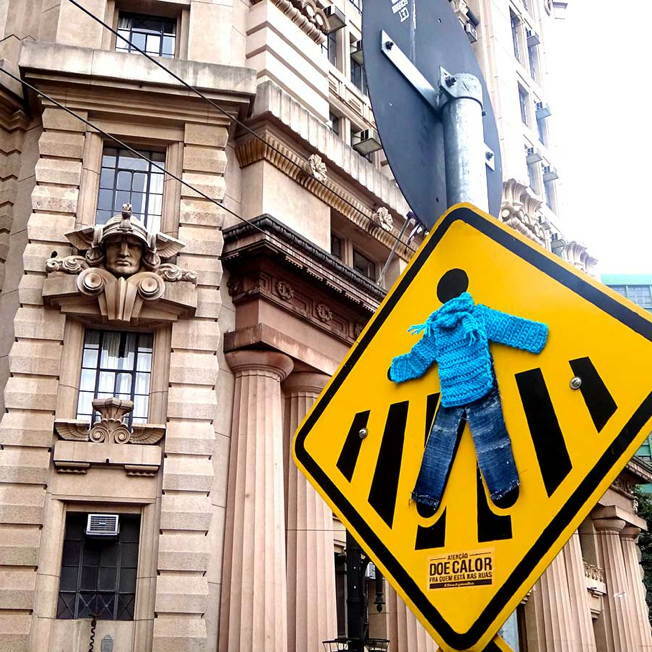 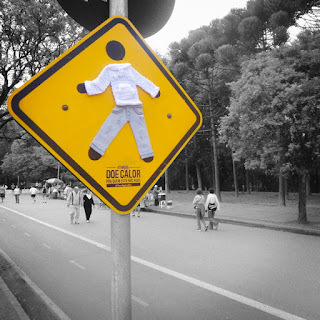 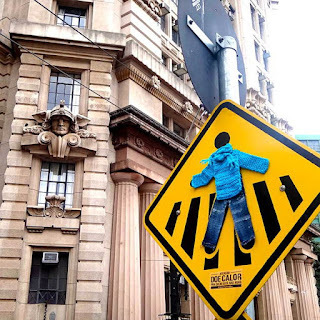 Signs all over the city of São Paulo have been hit to remind people to donate their clothes to those less fortunate.